Schumacher Mini RC Motorcycle « Big Squid RC – RC Car and Truck News, Reviews, Videos, and More! Tired of wheeling your full size Ducati around the block (like who would ever get tired of that)? 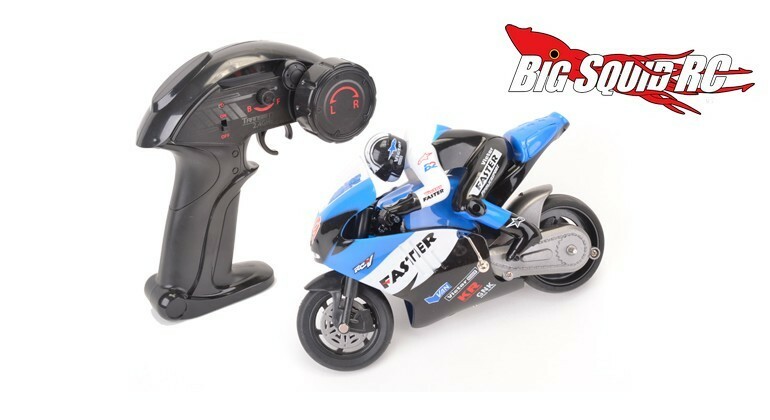 If so, Schumacher has a new Mini RC Motorcycle for your bashing enjoyment. Tenth scale in size, the Schumacher motorcyle has a gyro for stability and comes with a 2.4GHz radio system. The bike is priced at £23, it has a part number of #GX806B, and you can Click Right Here for more details over on Schumacher’s website. Hey Look! Another TGIF Mystery Link.